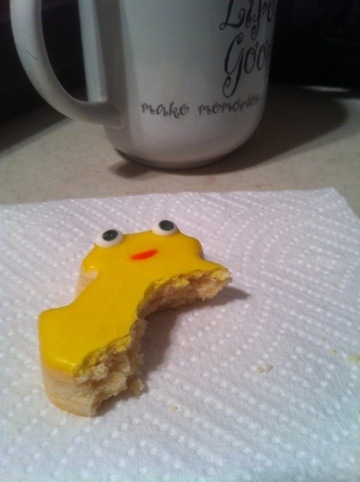 Well, sweet morning for me, not necessarily so for Froggy Cookie. What does it say about you as the eater that you saved the eyes for last? Hmmmm…. Ha. Hi Kathy. Probably that I need therapy more often than my current once-a-day schedule.